Right after I arrived at LAX (Los Angeles International airport) it happened. As I yanked my roller over a curb I heard a crack and my roller's handle came off in my hand! It was a clean stress fracture across both sides. This roller is over 3 years old but I think the damage might have been caused by getting slammed by the overhead bin door on my flight. It was nine at night and I needed my roller to travel soon for an upcoming job. A sent off a quick email to Think Tank's customer service that night. I expected a reply soon but this was amazing. 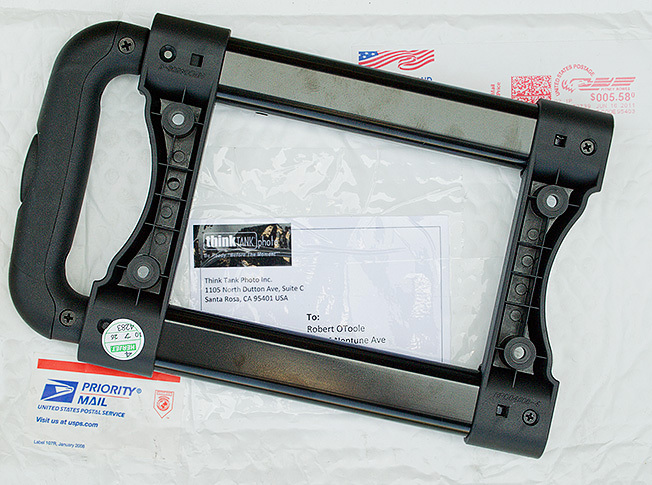 At 9:14 am the next morning Randy Wentzel from Think Tank emailed me back to say that he already had a new handle assembly on its way to my CA address. This was not some inside connection in customer service, I used the customer service email address from the Think Tank site! That is exceptional customer service! As a professional I have been using Think Tank for what seems like forever and its a great feeling to see a company come through for you when you really need them.